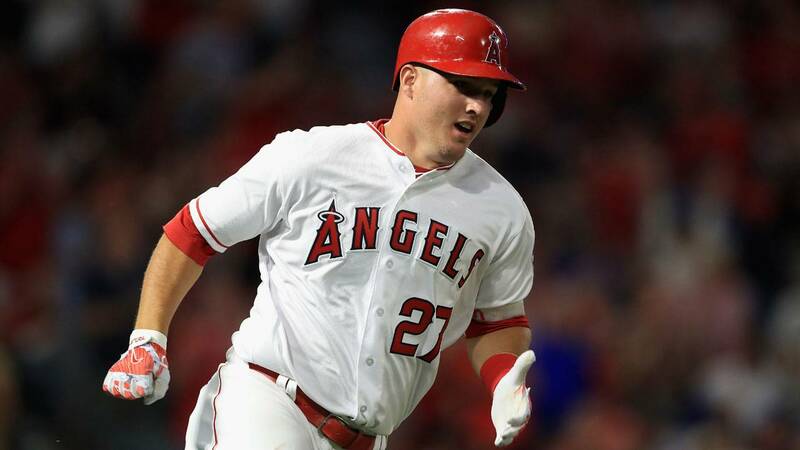 (CNN) - Mike Trout, one of the most sought-after baseball players of his generation, looks set to agree to a 12-year contract extension with the Los Angeles Angels worth a stunning $430 million, according to multiple reports. It would trump the $330 million 13-year deal the Philadelphia Phillies and Bryce Harper agreed last month and boxer Canelo Alvarez's $365 million 11-fight arrangement with sports broadcaster DAZN. Although Trout's prospective contract would be the biggest in terms of total value, it would likely fall short of the amount Alvarez looks set to earn in the same period. Trout has consistently had one of the highest Wins Above Replacement (WAR) -- a measurement that estimates the total number of extra wins a team gains with an individual player in the team as opposed a replacement-level player in the same position -- in the MLB over the course of his career. The deal -- yet to be confirmed by the player or his team -- was first reported by ESPN on Tuesday, which wrote "no player in history has put up more wins above replacement through his age-26 season than Trout's 64.3." Despite Trout's consistently outstanding form, the Angels have struggled to make a mark in the MLB in recent years having only qualified for the playoffs once since 2011. The 2019 MLB season is due to begin on Wednesday.